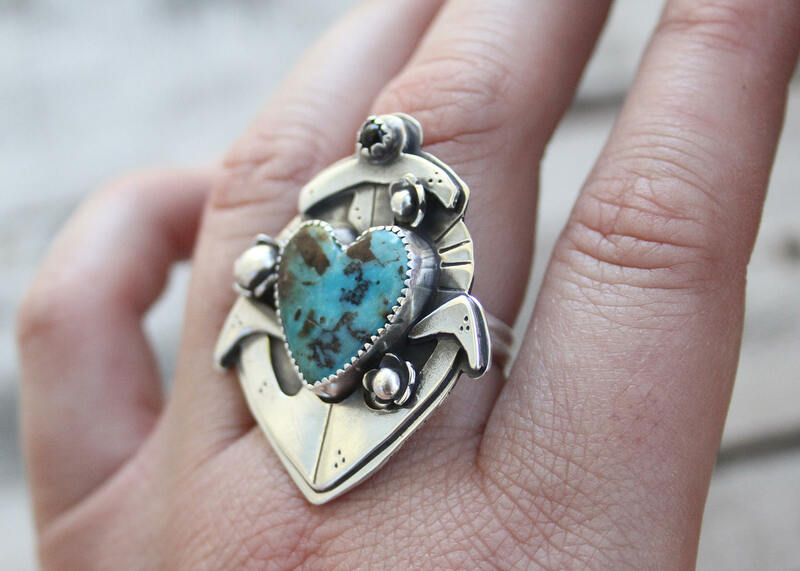 ☼ This ring features a stunning piece of Kingman Turquoise and is made with Sterling Silver. 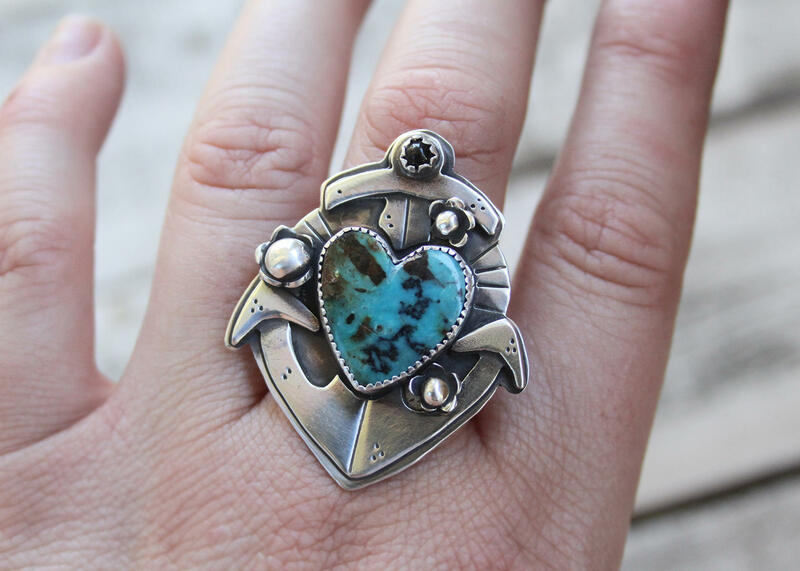 This ring is inspired by the tattoo legend Sailor Jerry. ☼ This ring is approximately 1.5 inches long and 1.5 inches wide. It can be sized anywhere from a 5-10 US ring sizes. ☼ All jewelry in my shop is handmade. I also cut and polish many of my own stones, bone, or horn that I use. Many of my stones were left to me by my Great Grandpa Fuller which he cut into slabs over 50 years ago. These pieces are truly handmade and one of a kind. They cannot be remade or replicated. ☼ Each Item will come beautifully gift wrapped. ☼ Follow @primandpoppyshop on Instagram for updates on new items! Payments due at time of purchase. All Sales are final. Shipping is averaged out by weight of product. If ordering from outside of the US please know what your countries custom fees are. I will not refund a product sent out of the country because of custom fees being to high. Each one of my rings has been fully hand crafted by yours truly. These pieces need to be handled with care. While they are sturdy and durable you still need to handle your piece with care to insure a long beautiful life with no damage. Please avoid dropping your piece or submerging underwater for extended periods of time.